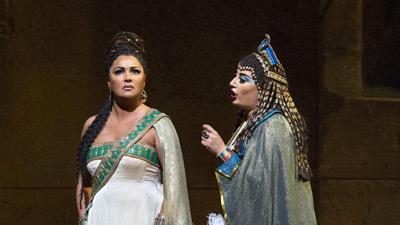 Superstar tenor Luciano Pavarotti sings Radamès, the heroic leader of the Egyptian army, in his final Met broadcast. 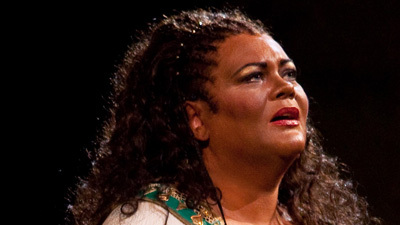 He is surrounded by a superb cast led by the two ladies who compete for his attention. 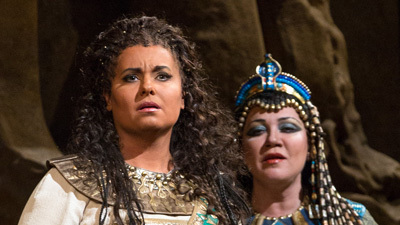 Deborah Voigt is a melting Aida, the captured Ethiopian princess forced to become a slave to Pharaoh’s daughter, Amneris, sung by the spectacular Olga Borodina. James Levine conducts.